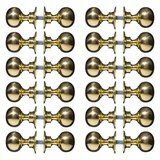 A pair of Victorian style door knobs with a "PLAIN" design in solid brass. 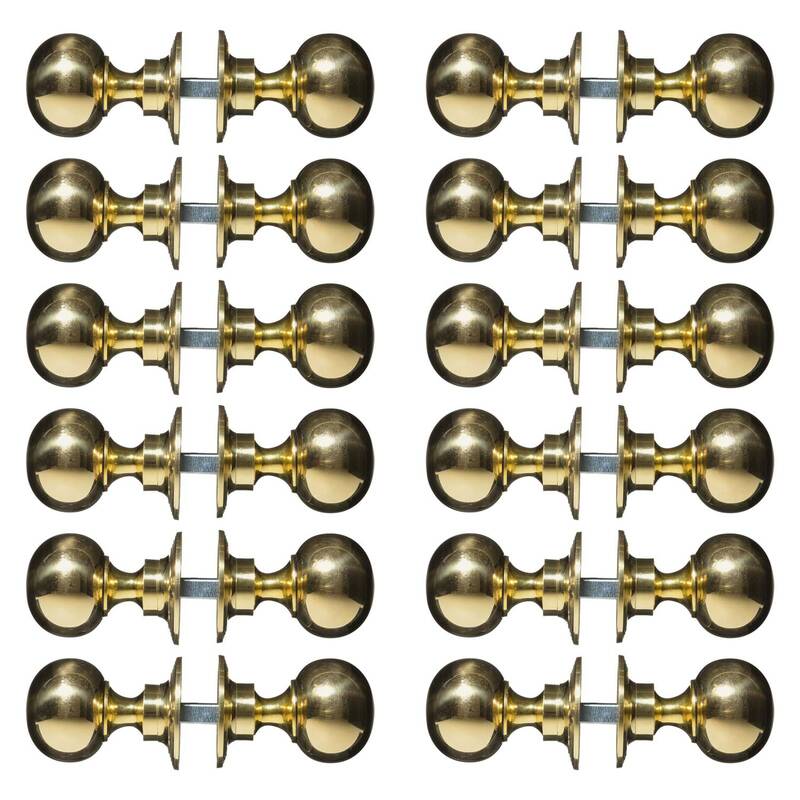 High quality, hand turned, solid brass door knobs/handles made to an original Victorian design. 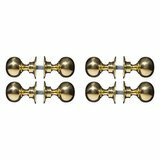 These Victorian plain door knobs/handles have been faithfully reproduced from an original door knob we were fortunate to salvage and are therefore a design exclusive to us, despite there being many copies on the market. 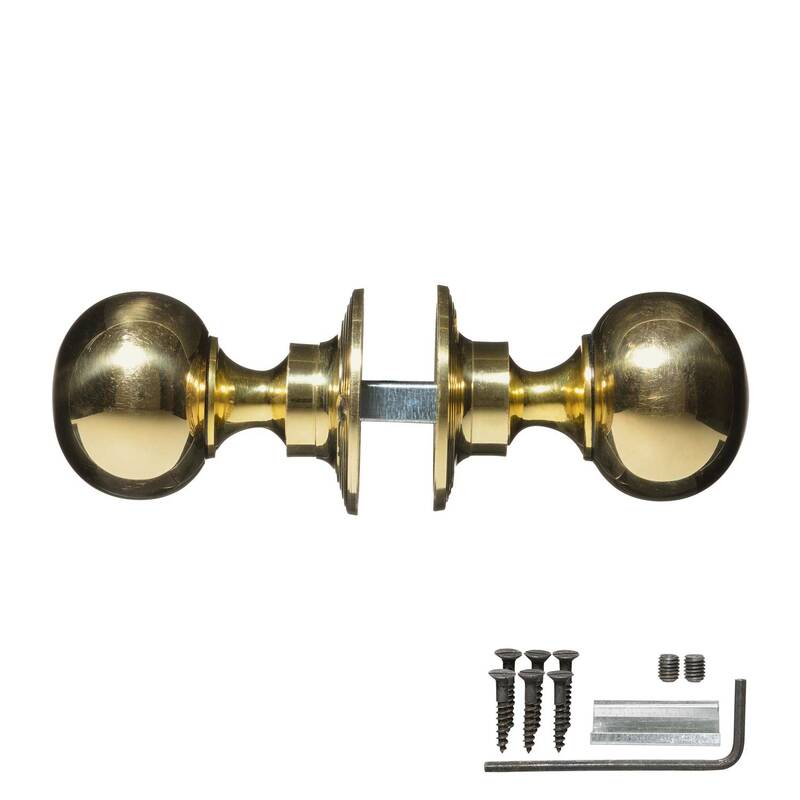 We're pleased you would like to review Victorian Door Handles - Brass Plain (pair). 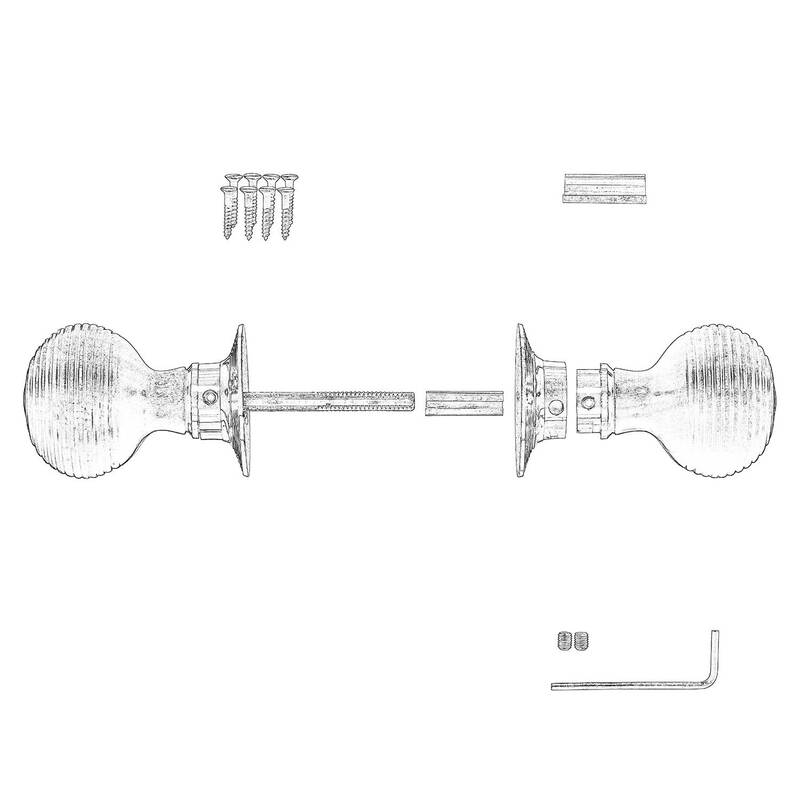 The quality of the doorknobs was good but they looked too small on our doors, so they have been exchanged for the nickel-plated beehive knobs in the larger size. Over the years our village hall was 'improved ' by the addition of chrome and aluminium door handles. i am now in the process of reinstating the brass fittings, some of which i found hidden away. 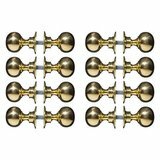 i needed more, and finding originals too costly, found this site and purchased their brass door knobs. The quality of these knobs, surpasses the original fittings by a long way. 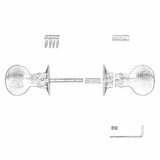 They are made of heavy solid brass, and are very easy to fit, to variable thicknesses of door by a simple adjustment system. They are really 1st class, and will still be there in another hundred years. They are unvarnished which is preferred by me , as our cleaner is addicted to brass polishing. The service and delivery time were excellent especially as they were sent abroad. 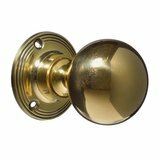 The doorknobs are an excellent quality and easy to fit. 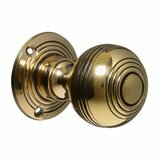 We found these doorknobs on line and were really taken with the detail and quality, plus the fact they are not lacquered so will dull down with use. They are easy to fit and look perfect on our newly stripped and waxed Victorian pine doors. The service and delivery time were excellent too. 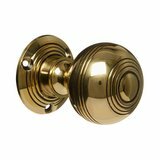 Victorian Door Knobs - Brass Plain (pair). 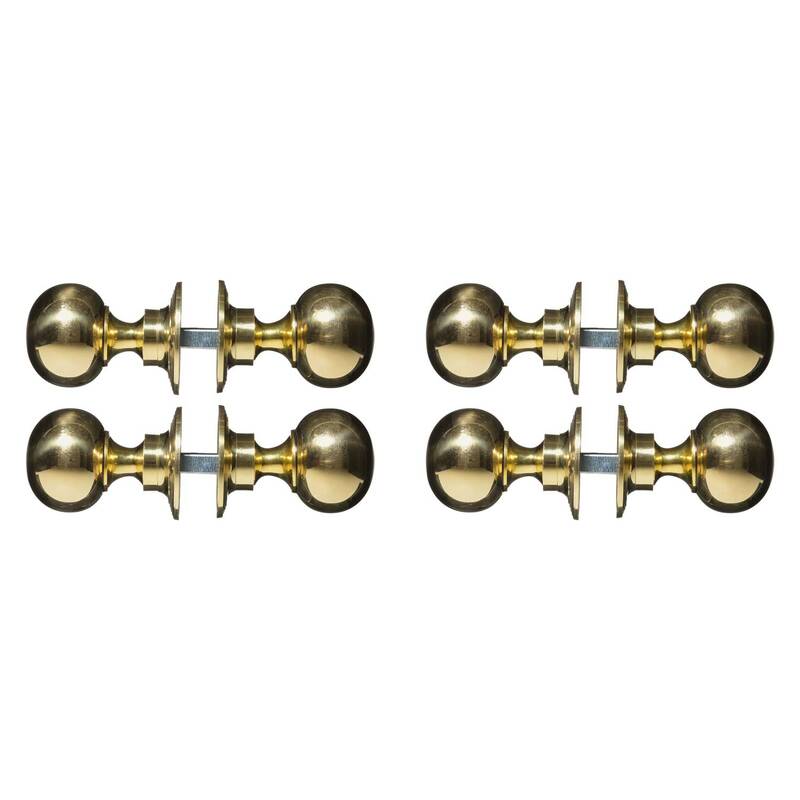 Purchased these Victorian style door knobs as attachments to our new 1930 flat panel shaped bead doors and to match those inherited when the house was purchased in 2000. The door knobs are attractive, stylish, well made, easy to fit and enhance the attractive doors. 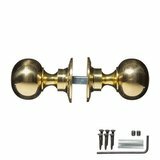 Excellent service and the ordered brass door knobs arrived the next day This was very much appreciated as we need the knobs as soon as possible. 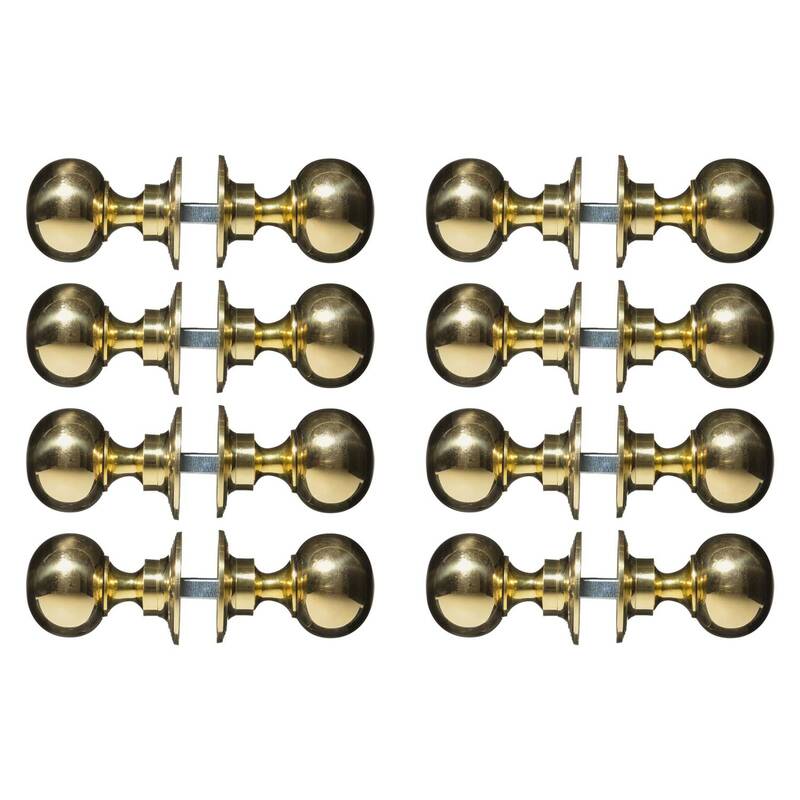 Beautiful door knobs - goes really well with our doors. Excellent service - very friendly over the phone and we received the next day after ordering! The door knobs arrived within 36 hours of being ordered, beautifully wrapped and the perfect complement to my new pine doors. Excellent product and efficient service.